Image by Colin/Unsplash, Public Domain Dedication (CC0). 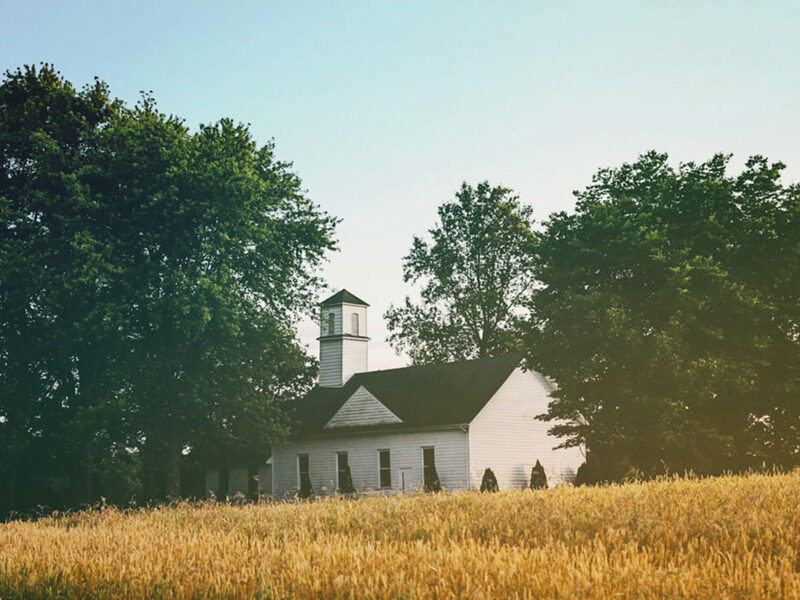 Our wooden country church, painted white on the Kansas prairie, was a sacred space. On Sunday mornings we were the people who prayed inside it. When we stepped through its doors onto a creaking wood floor, past the community bulletin and a small display of pamphlets, we inhaled incense and went quiet. A strong prairie wind often rattled the stained-glass windows, but inside was calm. We dipped our hands in holy water and touched it to our foreheads, hearts, and shoulders. Even on a humble patch of flat grassland, there’s a recognizable energy field inside a place designated for speaking with God. How could there not be in a building that has contained so many prayers and songs, so many tears over dead farmers in open caskets, so many smiles at crying babies with holy water running down their cheeks? I’m of the mind that, if some mysterious force can hear what’s in our hearts, it can do so whether we’re kneeling at St. Peter’s Basilica in Vatican City or pumping unleaded gas at a convenience store in Duluth. But historically it’s been churches, synagogues, temples, and mosques where we meet others making their own vulnerable attempts at faith — and let them witness ours. As society becomes decreasingly religious but no less concerned with the big questions of existence, where will we find those shared spaces of reverence? In secular terms, we might find them in civic spaces like town-hall meetings or intellectual spaces like college classrooms. Gathering to humbly admit and experience our unanswerable questions, though, requires a place in which mystery is the main event. That feeling likely had something to do with history. The songs Griffin recorded there had bounced off the same high ceiling for more than a century. During the Civil War, the church had been used as a hospital, the pews exchanged for 250 beds and bleeding soldiers. Griffin named the album Downtown Church. I often miss the sounds and smells of my old church, St. Rose. To be clear, I don’t miss the Church. I miss the church — its physical aspects that, unlike the God they’re intended to invoke, are impermanent and sure to fall away. Indeed, according to church records, a June thunderstorm destroyed the structure with a bolt of lightning in 1921. My ancestors rallied to rebuild it by summer’s end, though. St. Rose was the pillar of its tiny Midwestern hamlet, a portal not just to heaven but to earthly communion with other people. Every Labor Day, farmers gathered near the church for bingo and spin-the-wheel games. During World War II, my grandpa Chic — so nicknamed when, as a kid, he couldn’t pronounce his family’s “Czech” heritage — built a wooden platform on the prairie that surrounded St. Rose for a swing dance under the stars. They put beer in a huge metal stock tank that usually watered cattle, and ate sausage butchered at the farmhouse my dad grew up in. Our stretch of southern Kansas could be mapped by the names of saints that dotted the flat farmland. He’s from St. Joe, one would say. Turn before you get to St. Louis. We’re taking the pies up to the funeral at St. Vincent. My grandma Teresa was known for those pies, Grandpa Chic for his carpentry. In the 1950s, he and his brothers built a new roof and steeple for St. Rose. As a child decades later, I prayed beneath a steeple built by my grandfather’s own hands. The communion rail I knelt at was his work, too; he carved it from a walnut tree on his land the year I was born. I didn’t know any of this until decades after he’d died. (Ours was a culture in which you didn’t talk about your work; you just did it.) Still, I couldn’t help but possess a cellular awareness that houses of God are built by common people. What makes them sacred is the intention with which we enter them. My dad grew up to be a carpenter like his father, like St. Joseph. As a kid I spent afternoons pushing lumber across a table saw to cut the dimensions Dad had marked in thick pencil or picking nails off the ground when the work was done. His hammer, like Grandpa’s, would end up working on a church. When I was a young adult, he helped renovate an ornate 19th-century cathedral in downtown Wichita, where he built the cement form for a new baptismal pool. The seat of the Wichita diocese, the cathedral features stone carvings, immense bronze doors, and tremendous domed ceilings pointing toward heaven. Its turn-of-the-century architect helped design the Metropolitan Museum of Art and the Astor house on Fifth Avenue in New York — worlds that couldn’t have seemed more different than our own, but that were the same for needing walls and roofs. This year in Juarez, Mexico, a hundred construction workers labored for a month on a massive pavilion to fit 220 church leaders during Pope Francis’s visit. People around the world later observed Mass on the open-air altar in Juarez via live television, the Internet, and their smart phones. That’s a glorious, 21st-century pleasure, like streaming a Patty Griffin album through headphones while on a run. To attend Mass in person or see Griffin strum her guitar live is an experience that is sacred precisely for its three-dimensionality. When we become so abstract in our experience that the physical realm becomes secondary, we dangerously dismiss and detach from our earth, our ecosystems, our fellow humans, ourselves. I’ve found a few physical spaces that might meet my needs for shared community, contemplation, reverence, and wonder apart from the traditional religious structure, but I’ve not yet committed to one the way a Catholic commits to Sunday Mass. I try to stay rooted in the earth however I can: walking and running barefoot, chopping vegetables just pulled out the ground, swing-dancing. Whether in direct communion with others or not, the great opportunity of the human experience is to be aware of one’s self as at once a body and a spirit — like a church. 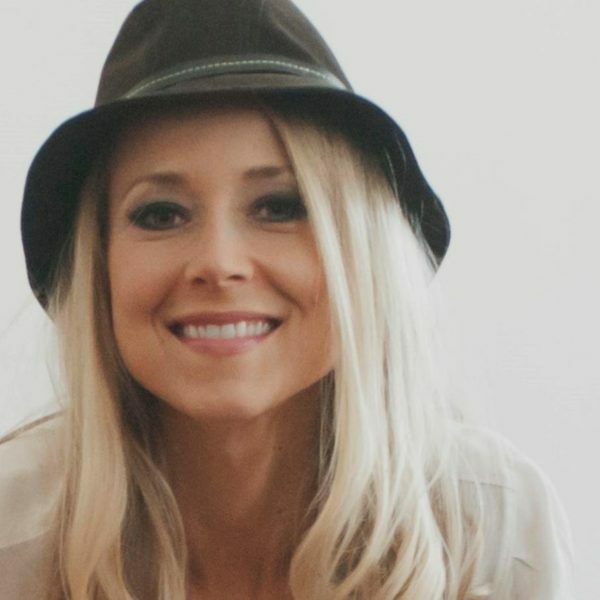 Sarah Smarsh was a columnist for On Being in 2016. She is a journalist who has covered socioeconomic class, politics and public policy for The New York Times, The Guardian, and many other publications. Her 2018 book Heartland: A Memoir of Working Hard and Being Broke in the Richest Country on Earth, was a finalist for the National Book Award. She is a frequent media commentator and a former Shorenstein Fellow at Harvard University’s Kennedy School of Government. She lives in Kansas. Read more about her work at sarahsmarsh.com. “There’s something magnetic about a group of people that say, ‘Hey, we don’t have it all figured out, and we need each other. '” New Monastic and Simple Way founder Shane Claiborne on bridging the gap between the structures we are raised in and the human needs around us.